Epic Pass vs. Rocky Mountain Super: Skiers and snowboarders review the best Colorado season passes for 2017-18 - Denverite, the Denver site! There is a question that tears friends and families apart, separating them for countless weekends each winter: Which season pass are you buying? Aug. 30, 2017, 4:07 p.m. In this post, we’ll offer compelling arguments from skiers and snowboarders about which Colorado season pass is right for you, and just a little workplace rivalry between our resident Rocky Mountain Super Pass skier and our Epic Local Pass snowboarder, plus some scattered opinions from our expert consultants. We’ve also created a handy comparison chart in Google Sheets for you. Here’s what it boils down to: The Epic will give you a greater variety of mountains, and it’s the more popular choice in our circles. It’s a great choice for those new to Colorado, as well as those who crave a wild, wider variety of terrain. The Rocky will give you access to three beautiful resorts that are close to Denver, and it seems to have more chances to escape traffic on Interstate 70 and the crowds on the slopes. There’s a lot to offer on both passes — read on for our thoughts and images. And if you want to contribute your own insights, email us. Andy will start with his impressions of the Rocky Mountain Super Pass Plus. He’s spent nearly all of his Colorado skiing days at Winter Park, but he’ll acknowledge that one of his best days ever was at Breckenridge, an Epic mountain. You’ve got three main mountains on RMSP+, and they’ll keep you busy all winter. They’re not quite as dramatic as the Epic terrain — no five-peak resorts on this pass — but they’re so much fun to explore, especially at the relatively low price of $599. Plus, the mountains are closer to Denver, which means less time on Interstate 70. People love or hate Winter Park. Its geography is funky, which means it’s easy to get stuck on a long traverse or a boring green. Frankly, though, I love the layout. Once you know the mountain, it’s easy to escape the crowds in a network of magnificent glades and hidden descents. The resort is a good fit for all skill levels, although it’s better loved by skiers than snowboarders. Novices can warm up on the Winter Park side, while those looking for a moderate challenge can stay busy for hours diving down the mountain’s bald cap and through widely spaced trees. The Mary Jane side is infamously covered with bumps, which offer a good challenge on days when the rest of the mountain is too crowded or the snow’s not great. The Eagle Wind wing of the resort is fantastic, offering deep powder troves and well-trimmed glades that rarely have lift lines. It’s also incredibly quiet, feeling like a solitary adventure at times. The resort also is laced with chutes and features like the huge Cirque bowl, accessible only by a long hike or a ride in a Snowcat. You can add unlimited ‘cat rides to your season pass for $20. Oh, and this is also one of the closest resorts to Denver. You’ll love peeling off Interstate 70 miles before all those other suckers. I’ve spent less time here, but it offers a bigger alpine experience than Winter Park. More of the main mountain is above tree line, and its back bowls have some incredible terrain — cliffs, steeps and such. The mountain also has a more traditional frontside with some rather steep, fast trails. “It’s well laid out, has solid runs in the back, and has a lot of good events that they put on. It’s a very well rounded resort,” advises Timothy Kunin, who has ridden both the Epic and Rocky passes for more than a decade. I also find Copper to be quite fun, and it’s sometimes open earlier in the season, but I also think it attracts more annoying hot-doggers. Ashley is also a fan of Eldora, having once lived in Boulder. “It’s a tiny mountain and you might get bored of it if you’re the type of person who wants a multi-mountain pass, but for someone who lives in Boulder and/or is new to skiing and snowboarding in Colorado, I can’t recommend it enough. It’s also relatively un-crowded, and let’s not forget you can get there by bus for only $10 round-trip,” she writes. RMSP+ also comes with bonus days at Steamboat and Crested Butte, among other mountains. Pretty great if you want to explore the northwestern part of the state (Steamboat) or you want to get into the extreme stuff at the Butte. We’re going to talk about the Epic Local rather than the full Epic Pass for a couple reasons. It’s comparable to the Rocky Mountain Super Pass in price, coming in at $639. It’s also the one that I buy each year, along with most of my friends. It’s $220 cheaper than the full Epic Pass, and you’re honestly not missing much. The strength of the Epic Local Pass its terrain and its variety. While you’ll often hear the Super Pass mountains described as “a nice little mountain,” (I resent that. – AK) the Epic mountains are some of the best Colorado has to offer. Think of it this way: When tourists come here for some world-class skiing, where do they go? The answer is almost always an Epic mountain. Plus, the sheer variety means that you’ll likely have plenty of friends to ride with throughout the season, as Kunin advises. Breck is by far my favorite mountain. I mean, it’s got five peaks. It’s very difficult to get bored with that much terrain. You could spend days there without getting bored, and you’ll eventually find that each peak has it’s own character. Looking to avoid the crowd? Hit Peak 10, where it’s all black runs, or Peak 6, where plentiful blues are kept uncrowded because they’re a pain to access. My personal favorite is Peak 8, where you can take the highest chairlift in North America, drop into a wide-open bowl and then get lost in the trees for a while. 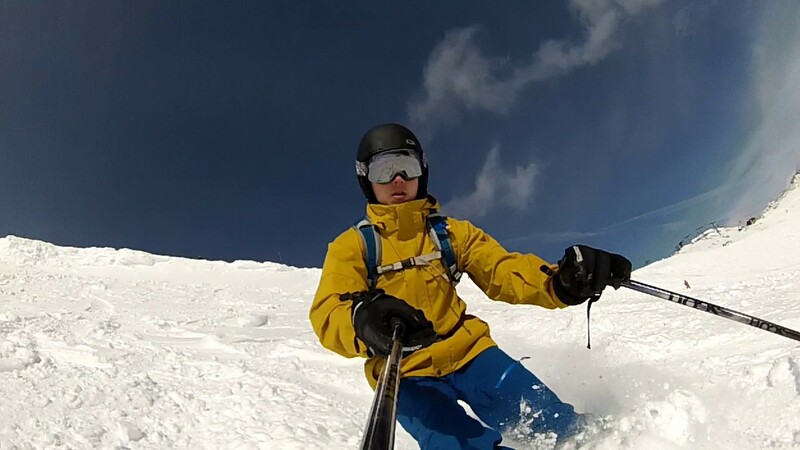 Our bi-pass expert, Kunin, is pretty down on Breck, though. “Drive further and then have to park in an outcast parking lot if you want to park for free? And then get on windy slopes with long lines?” he writes. A-Basin is Epic’s “small” mountain. It’s not terribly tiny, but its proximity to Denver makes it a good choice for locals’ half-days and shorter trips. Plus, its most recent season stretched from October to June. There’s also a ton of backcountry terrain that lures diehards who want a challenge without the crowds. If you’re willing and able to hike and navigate expert terrain, A-Basin has a lot to offer. “You avoid tourists, it has the longest season … Additionally, it has some of the best terrain. It’s a bit small though and the lifts are pretty slow,” Kunin told us. If you really love A-Basin, you could save some money with the Keystone-Arapahoe pass for $349, though it has blackout dates around holidays. 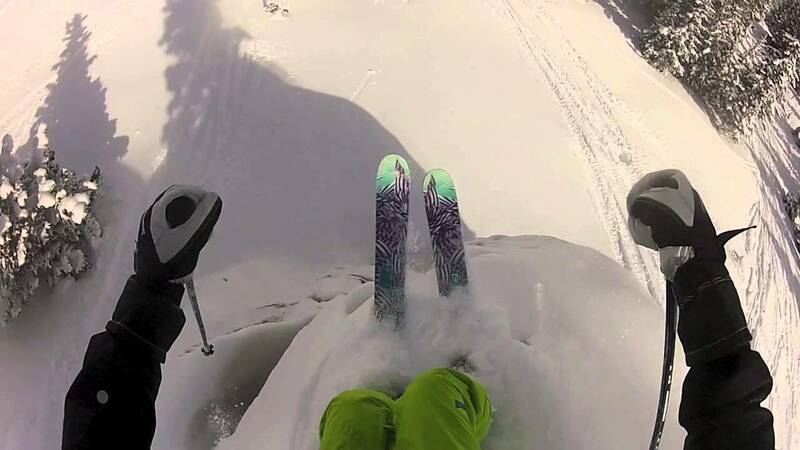 Either way, the back bowls are worth it, especially on powder days. Keystone also offers night skiing, a rare amenity in Colorado. My one gripe with Keystone is that the blue runs that take you back to the main lodge — which are essentially unavoidable — are always crowded and icy. I will admit that, as a snowboarder, I like Vail less than my skiing friends do. And if you’ve been there, you know why: cat walks. So many cat walks. The number of times I had to pop out of one binding to push myself along or out of both to just walk got exhausting, and I know I’m not the only one with this problem. Still, Vail has some incredible terrain. You could spend all day exploring the front side alone, if you don’t mind the crowds. But the real reasons to go to Vail, in my book, are for Blue Sky Basin and the Back Bowls. Honestly, I’d recommend just spending all day in the Back Bowls. They’re beautiful, powdery and a ton of fun. One warning: Parking can be a pain. I’ve actually never been to Beaver Creek. It’s so far away. Vail is already pretty far away, and Beaver Creek is past that. I don’t even know anyone who’s been to Beaver Creek. Anyway, it looks great but also heavy on the greens. Our man Kunin is a fan, though. “One of my favorites on this pass, but it’s hard to not feel angry that you aren’t already skiing as you drive past the other resorts. But you are rewarded with better conditions,” he writes. There are nine out-of-state mountains on the Epic Local Pass. Yes, the local. You get unlimited, unrestricted access to Wilmot, Afton Alps and Mt. Brighton (along with Breck, Keystone and A-Basin) and limited access at Park City, Heavenly, Northstar and Kirkwood. Whistler Blackcomb and Stowe are among the mountains you get 10 total days at (along with Vail and Beaver Creek). It’s a well-known fact that I-70 traffic is the No. 1 reason to choose the Super Pass over an Epic Pass. It can be pretty brutal. I honestly don’t know how long my longest trip to or from one of the nearer mountains was, but I don’t own a car and probably fell asleep like a jerk. I can concede this point to the Super Pass-ers, but I will also say that it’s not the end of the world. The mountains can get pretty crowded, particularly at Breck, but I have a system. I warm up on the main trails — usually blue runs nearest the lodge — early in the day when the crowds are light, then make my way toward more challenging terrain and back bowls for the middle of the day. Here, again, is your handy comparison spreadsheet. We’re going to let Tim Kunin, our esteemed external consultant, have the final word on this. “If you’re new to Denver, don’t have a crew to go with, or are just undecided, go with the Epic Pass,” he writes. “If you’re wanting to ride with some friends, but try and get away from some people, the Super Pass is a good option, especially if you won’t be going late into the Spring. If you’re a family and are just going to go with your kids, I think you’re better off looking at something like a Loveland Pass.” That’ll run you $399. This article also did not address the variety of limited-use passes you can get, from the four-packs to the Mountain Collective Pass. CPR has a decent summary of those. Ashley: Thesis — the Epic Pass is for people who like to have fun and the Rocky Pass is for cranky people who probably have “native” bumper stickers. Andy: Counterpoint: the Epic Pass is for people who like I-70. Ashley: No one likes I-70, we’re just not impatient quitters. Andy: Counterthesis — RMSP is indeed for people who recall the days before shredding was a thing, who want a nicer time on the slopes, who are more interested in super values than epic good times. Ashley: We are the people who remember to pee before we get in the car. Andy: OK, we’re talking about skiing, not peeing. Ashley: I mean, it’s only $39 less than the Epic Local and the Epic Local has way more than $39 worth of terrain on the Rocky. Andy: This is proving very difficult to objectively settle for the rest of time. Ashley: I think this is easy to objectively settle, but it just seems hard for you because deep down you know you’re wrong. Or old. Or both.